After the waves made in the wireless world by the ESP8266, we can now expect a tsunami caused by its big brother, the ESP32. Along with a dual-core processor, it has onboard Bluetooth, more RAM, and IO extensions. The ESP32 can be programmed with the Arduino IDE. Later this year, Elektor Magazine will also write about the native development tool IDF. For the time being and for you, Elektor soldered the castellated/edge-plated ESP32 module on a breakout-board which easily fits in all your experiments on breadboards and elsewhere. 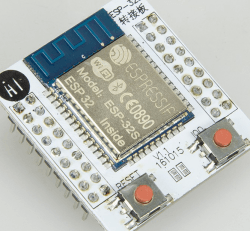 After the waves made in the wireless world by the ESP8266, we can now expect a tsunami caused by its big brother, the ESP32. Along with a dual-core processor, it has onboard Bluetooth, more RAM, and IO extensions. The ESP32 can be programmed with the Arduino IDE. Later this year, Elektor Magazine will also write about the native development tool IDF. For the time being and for you, Elektor soldered the castellated/edge-plated ESP32 module on a breakout-board which easily fits in all your experiments on breadboards and elsewhere. 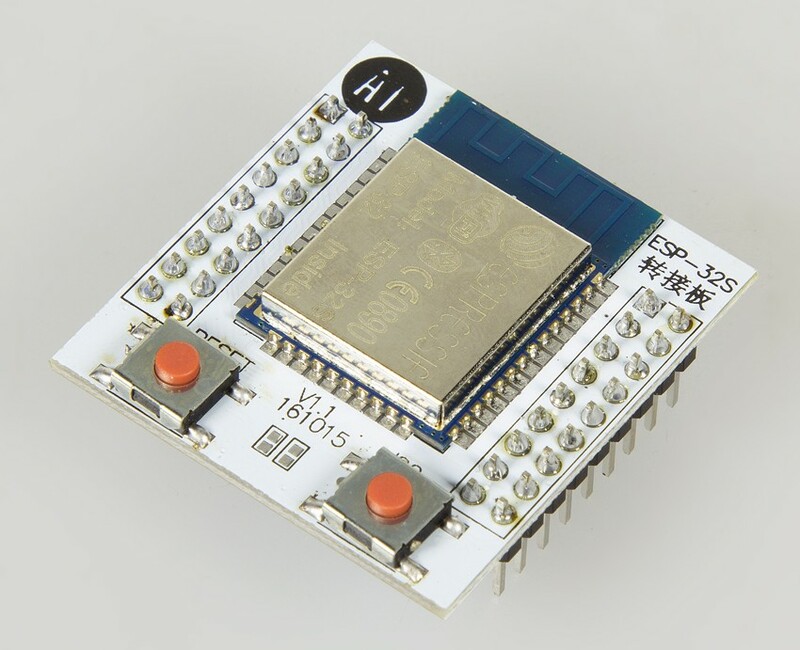 The ready-to-use assembled BoB is available in your shop, where you can also purchase the bare ESP32 module separately.